2016 was a remarkable vintage. It is very rare to get concentration without being big and we got it in 2016. The Growing Degree Days (GDD) system is used in California and Oregon wine growing regions reflect heat summation, a reflection of climate and weather. GDD is based on the hypothesis that grapevines do not grow if the temperature is below 50ºF. 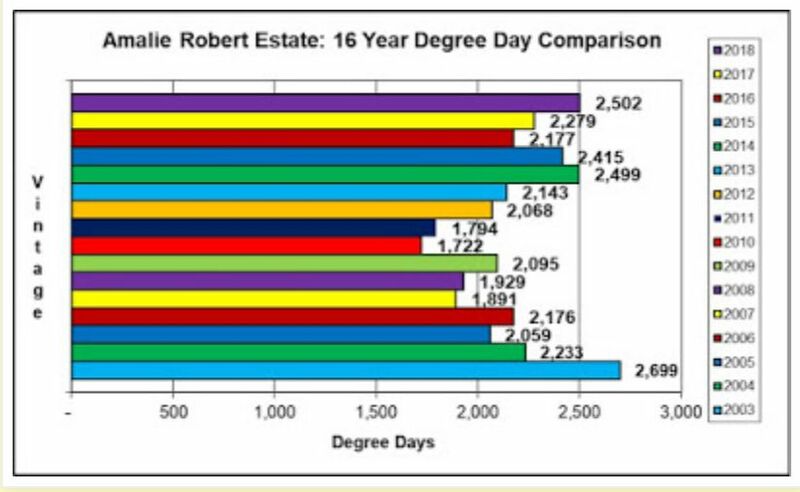 Days in the growing region are assigned degree days according to the amount that the day’s average temperature exceeds the threshold. The formula for GDD is maximum temperature plus minimum temperature divided by two minus the base temperature of 50ºF. According to data from Amalie Robert Estate in the Willamette Valley reported at www.amalierobert.blogspot.com that reflect a 16-year GDD comparison, 2016 was the coolest of the last five Oregon vintages, trailing 2018 (the warmest), 2014, 2015, and 2017. Heat summation as determined by the GDD system is not the full story with regards to vintage quality. Heat units do not take into account temperature extremes, day length, soil moisture, and timing of bud break and bloom. It is all very complicated! GDD is, however, a general measure of ripening and vintages with higher GDD such as 2003 will produce riper grapes, higher Brix and higher ABVs. In summary, Willamette Valley Pinot Noir from the 2016 vintage is a sure bet, so stock up. Wines from the 2017 vintage are fine also and deserve your attention, but overall they will not surpass 2016. 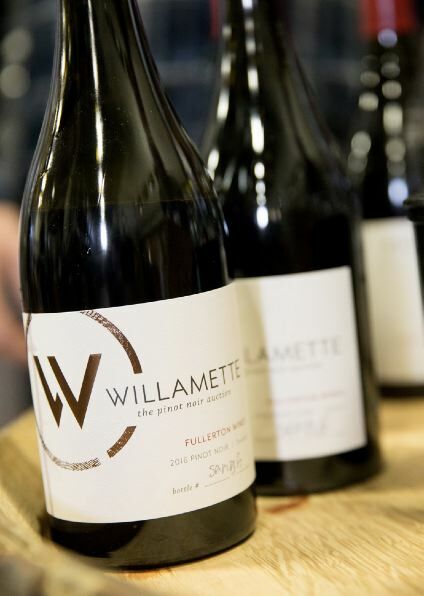 The Third-Annual Willamette: The Pinot Noir Auction, sponsored by the Willamette Valley Wineries Association (WVWA), was held on April 7, 2018, and featured 81 lots of Willamette Valley wine from the 2016 vintage (78 lots of Pinot Noir and three collaborative lots of Chardonnay). The wine, auctioned to the national and international trade, set a record of $737,000, exceeding the 2017 auction totals by 56%. Sales of Oregon wines continue to grow. According to the Oregon Wine Board, retail store sales of Oregon’s wines rose 12.4 percent in dollar value in 2018, well above overall industry growth of 1.5 percent and California’s sales increase of 1.3 percent. Pinot Noir sales were up 15.1 percent compared to an industrywide 2.5 percent. Oregon Chardonnay dollar sales grew 14.6 percent. Oregon wines can demand higher prices because of perceived quality and with an average price of $16.29 a bottle, Oregon wines sell for more than twice the national average of $7.37.